In A Clodhopper experiences, and there are definitely exceptions (see Virgin Xtravaganzah for example), drag performers shy away from politics, are often cute with a bit of caricature and a busload of imitation for laughs. 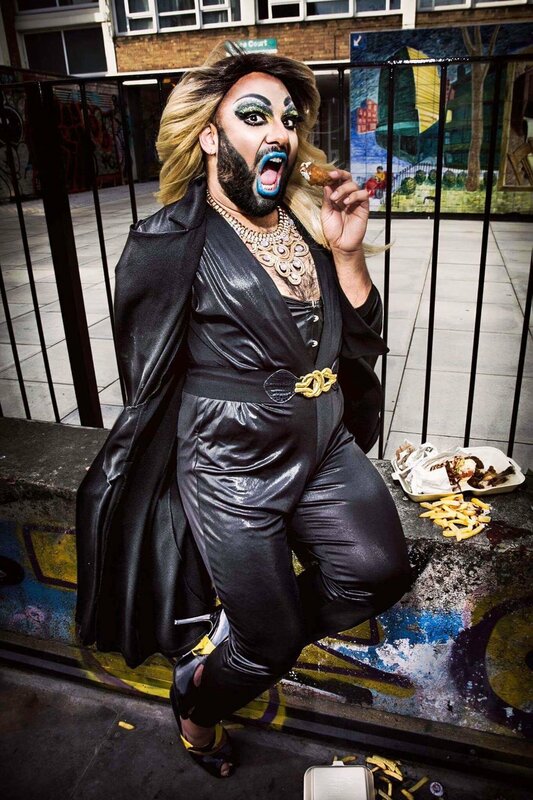 The Nightbus seems to concur that humour is often the end game but points out the medium is a statement in its own right “Drag is a political act in itself. It's negotiating a boundary of gender expectation that society give leniency and flexibility around for a greater purpose - usually laughter”. 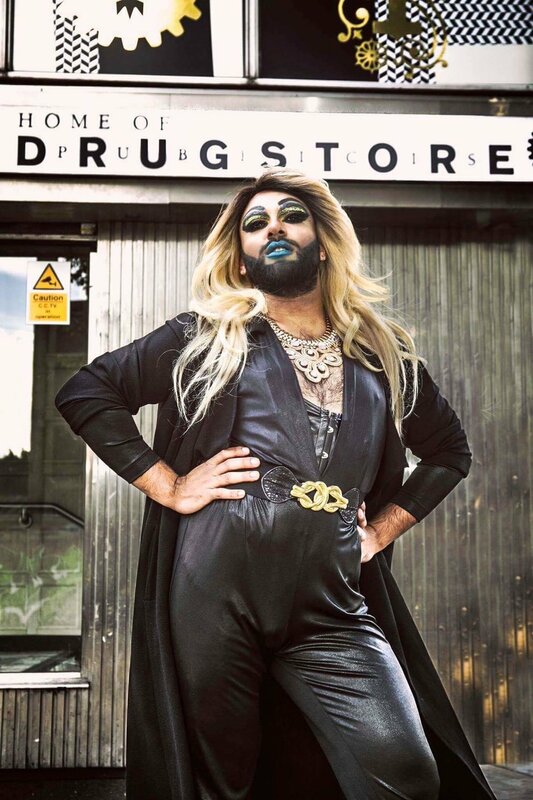 So it’s refreshing to see an act that confronts political discourse beyond some innuendo directed at easy government targets, so why hasn’t she taken the easy root, why tackle politics as a bearded muslim drag queen? “Drag is an artistic medium that can be moulded and shaped into whatever narrative you choose. Politics is often an un-encroached subject matter because of sensitivity but a character portrayed through a familiar or disarming medium generates momentum in expanding on things we all know and fear.” Not direct but certainly eloquent in her phrasing this is clearly, to borrow the bearded lioness’s words, ‘a drag terrorist; with a busload to say on oppression, hatred and marginalisation”. In A Clodhoppers words - this a drag act that will not hand you the answer...but will slap you in the face and make you think about WHY?